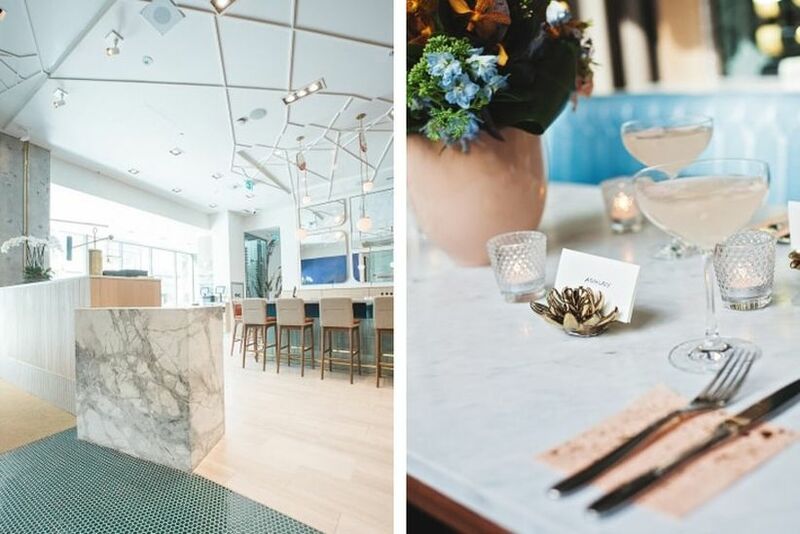 10 Stunning Toronto Restaurants Worthy of Your Wedding | Wedding Ideas ARE YOU A VENDOR? 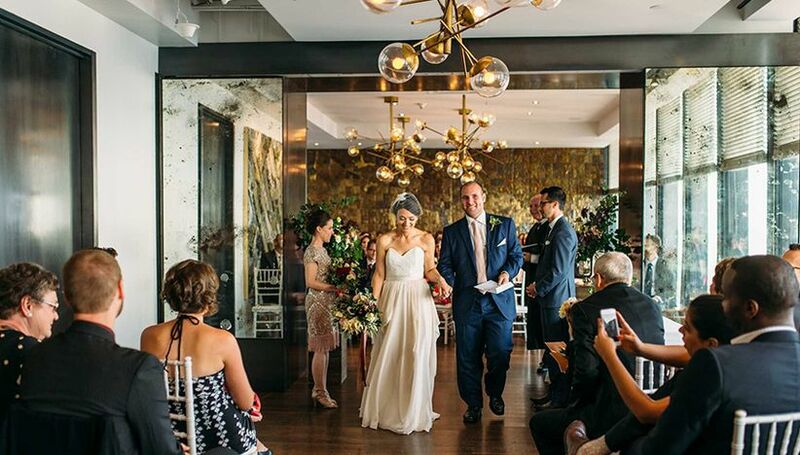 There’s no doubt about it, restaurants make for amazing wedding venues. Here are a few of our Toronto favourites. 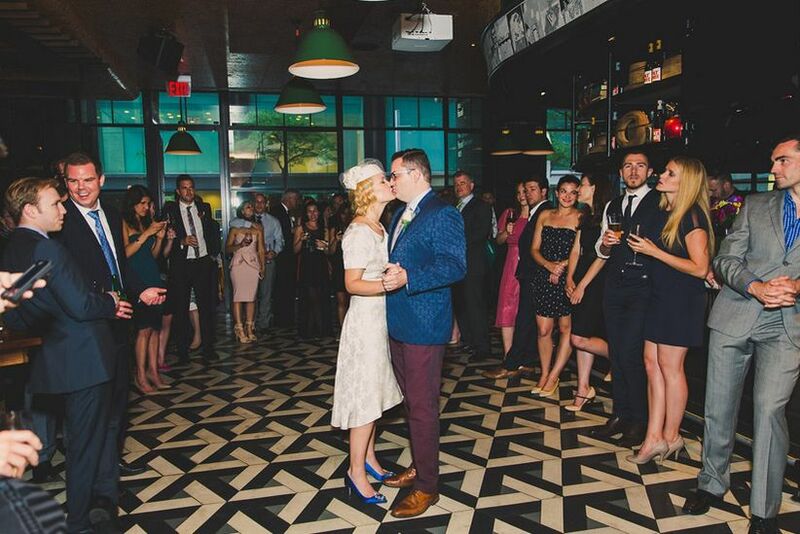 If you and your partner are total foodies, a restaurant wedding is the way to go. Toronto has garnered a solid reputation for its roster of amazing eateries, so if you call The Six home, you’re in luck. From swanky French eateries to loft-like trattorias, the world is your oyster. We’ve crafted a list with a few of our faves to help you choose the perfect one for your “I dos”. 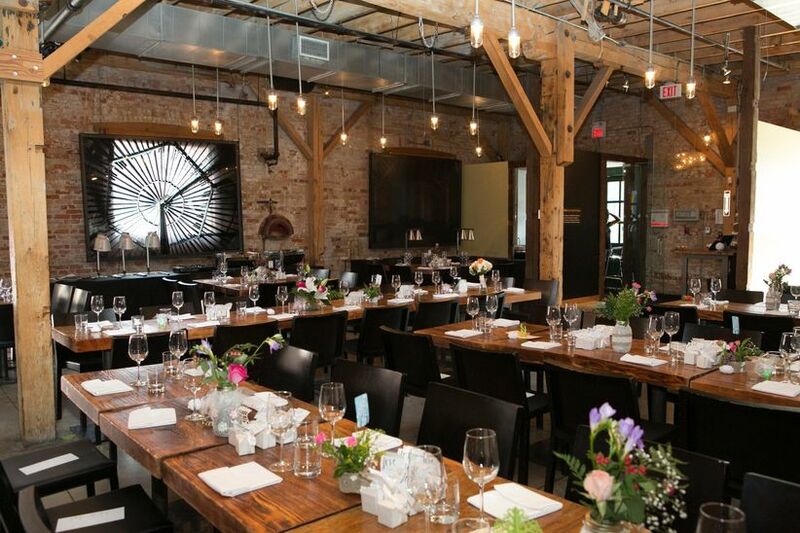 Here are a few stunning Toronto restaurants where you can tie the knot. Perched atop of the TD Bank Tower you’ll find Canoe, a distinguished member of the Oliver & Bonacini collective. The restaurant is quite the sight to see, boasting upscale modern furnishings and, of course, amazing views of the city. 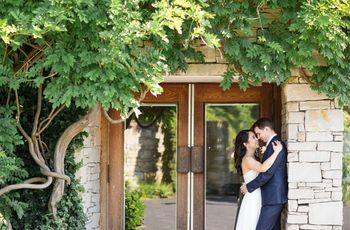 The menu is filled with contemporary Canadian fare, so you can treat your guests to eats like Newfoundland cod and Ontario beef rib eye during your reception. For more intimate celebrations, it has private rooms which can host between 40 and 100 guests, or, if you’re going for something a bit bigger, a full buyout will give you space for 250. If you hail from Toronto, you’re probably already well-acquainted with The Drake. 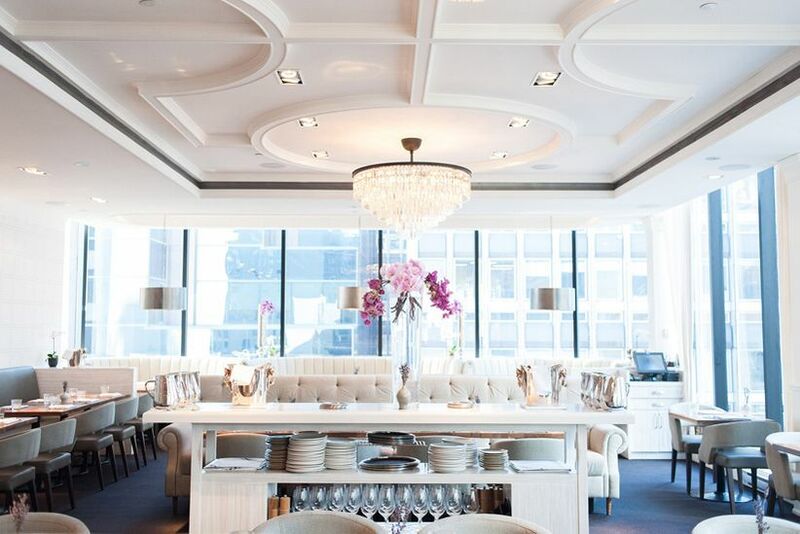 Its Financial District eatery, the One Fifty, is a modern-meets-vintage paradise, perfect for trend-forward couples. 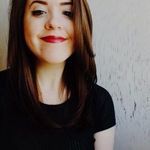 Some highlights? Pop artwork, colourful leather booths and a photobooth (you don’t even need to rent one!). Its executive chef, Ted Corrado, will work with you to create the menu of your dreams and the Drake Commissary will handle your confections. Its capacity is 125 seated (or 250 standing). Mildred’s Temple Kitchen is known for serving up a mean stack of pancakes, but it’s so much more than your average bruncherie. 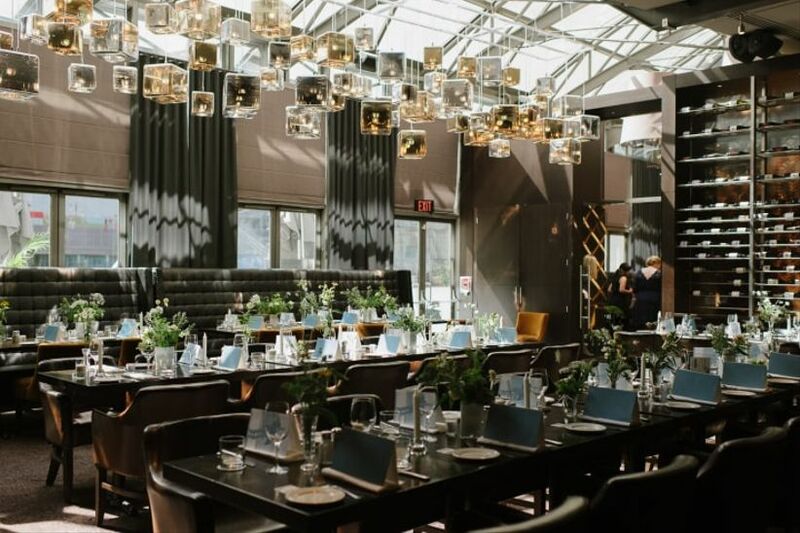 The Liberty Village hotspot makes for the perfect industrial chic wedding destination, with sky high ceilings, a neutral colour palette and modern fixings. 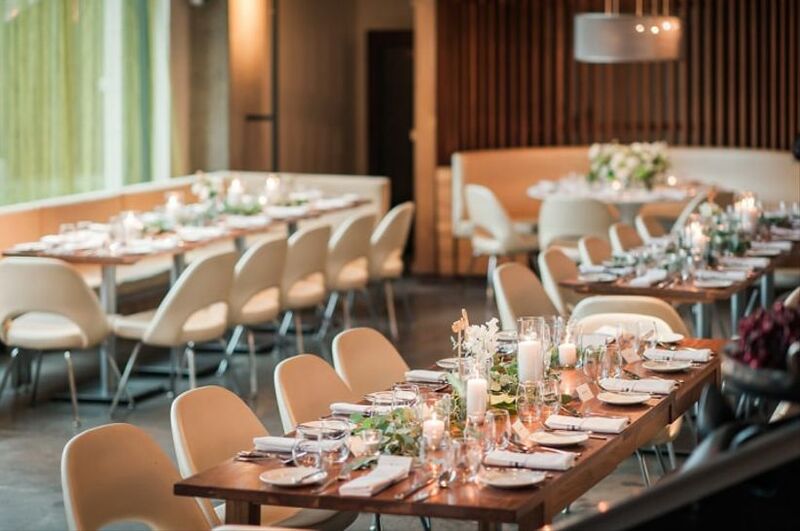 Its sample menu features drool-worthy eats like maple-mustard brined pork loin, heirloom carrot and ancient grain salad and kimchi buttered trout (of course, it can be tailored to fit your big day). Its capacity is 100 seated (or 200 standing). The Chase Group is known for creating stunning restaurants and its Financial District hotspot, The Chase, is no exception. 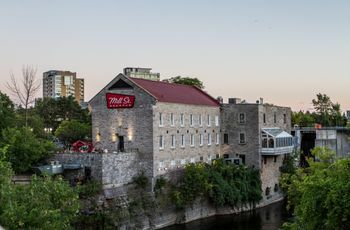 The swanky modern eatery sits inside the Dineen Building (a heritage site), making it the perfect blend of old and new. The menu features everything from octopus to venison and has a few vegan-friendly options (so even your plant-based guests will be satisfied). Its capacity is 138 seated (or 200 standing). 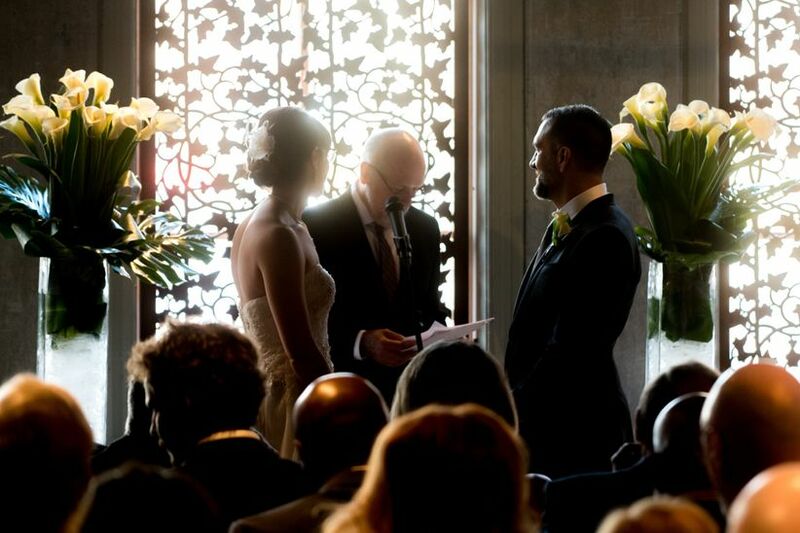 The Rosewater Room is a tried and true favourite for weddings. The space definitely errs on the traditional side, ideal for couples who prefer the look of crystal chandeliers and cornice moulding to exposed bricks and beams. Unsurprisingly, its menu features ritzy eats like tuna tartare, fire-roasted cornish hen and house spun sorbet (they also do buffet style catering). Its capacity is 400. 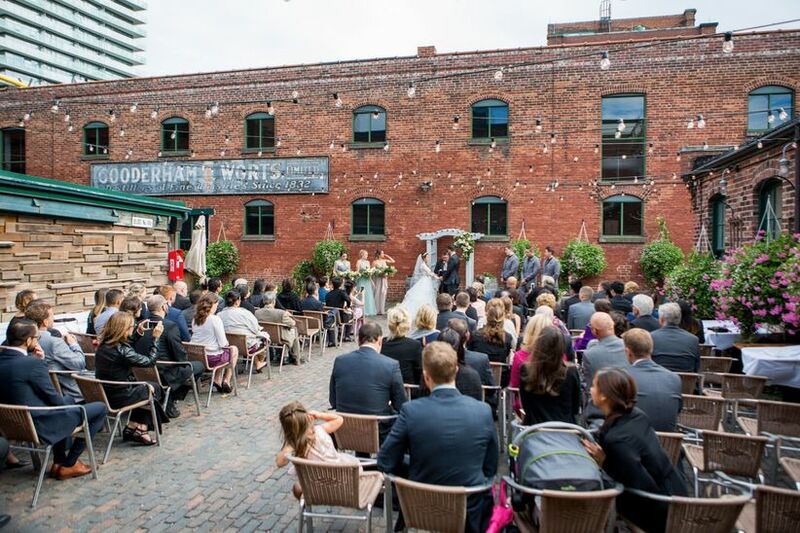 The Distillery District is filled with amazing spaces, but Archeo is by far one of the most wedding worthy. Its loft-like, industrial chic interior - expect to see plenty of exposed brick and beams - fits perfectly with the neighbourhood. Just like the decor, its food is pretty impressive. The menu flaunts Italian inspired eats, like black garlic cavatelli, pappardelle bolognese and striped bass (are your taste buds awake yet?!). Its capacity is 150. Head south of Adelaide on Yonge and you’ll find lbs, one of the Financial District’s newer eateries, lbs. 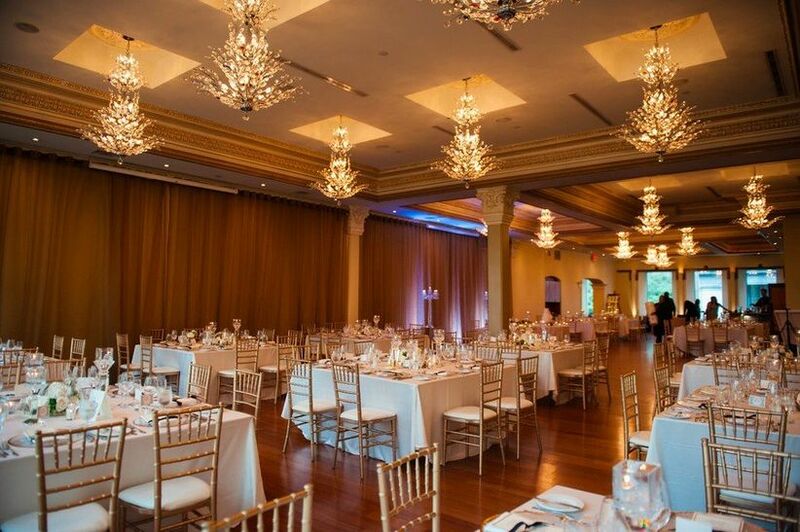 The space is perfect for those who are in the market for a more modern setting for their big day. It boasts luxe design flourishes like white marbled tables, modern lighting fixtures and brightly coloured booths. On the menu you’ll find a mix of lobster, burgers and salads (plus a few killer cocktails). Its capacity is 140. Right near the corner of Yonge and Wellington you’ll find Jump, another Oliver & Bonacini favourite. 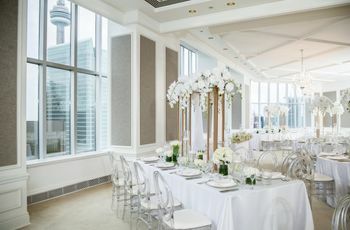 The space has everything you could ask for: a glass atrium (perfect for taking wedding photos in natural light), a courtyard patio (perfect for a summer cocktail hour) and a chic interior with elegant trappings (perfect for dinner and dancing). Its menu is stacked with eats like duck leg confit, ricotta gnocchi and bison lasagna. Its capacity is 162 seated (or 300 standing). Jump off the 501 streetcar at Jarvis and you’ll be a mere hop, skip and a jump away from GEORGE. 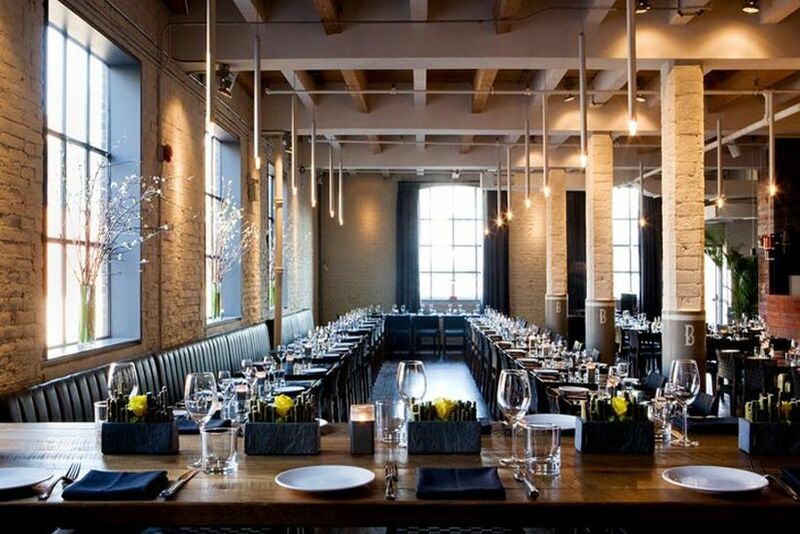 The restaurant is located inside of a1850s heritage building that has been restored into a stunning modern space with wrought iron doors, exposed brick walls and an open concept kitchen. The menu here is focused on on local, in-season ingredients and can be adjusted to fit your wedding. Its capacity is 110. Head a block west of King and Spadina and you’ll find Brassaii, a loft-like restaurant/lounge hybrid. 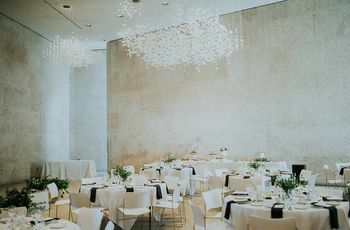 It has four event worthy spaces up for grabs, all furnished with sleek contemporary decor (the largest, its dining room, has a capacity of 350). The Mediterranean menu includes dishes like fresh oysters, tagliolini with meatballs, beef tartare and seared scallops.